An expensive series that invites a race debate from the concept and creators alone is already generating concern online. 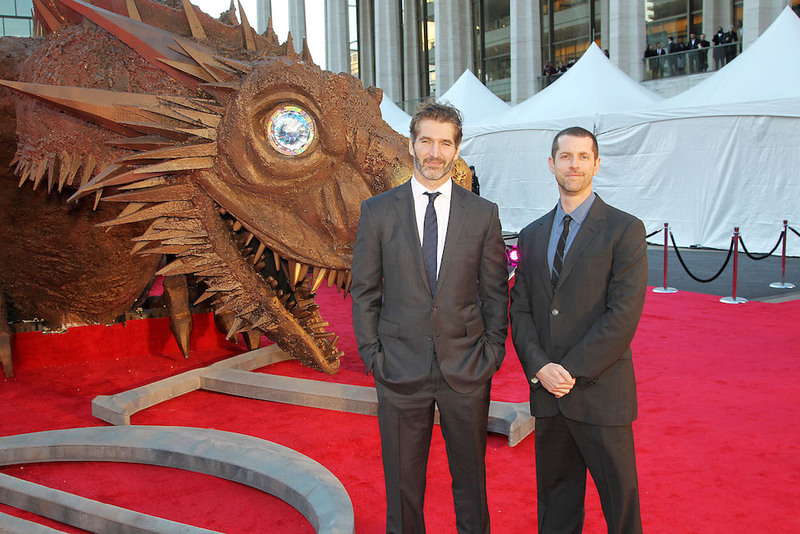 David Benioff and D.B. Weiss don’t do anything the easy way. The “Game of Thrones” creators are still busy wrapping up the final two seasons of HBO’s lavish fantasy epic, including a final season that will film across multiple continents, but their follow-up project has already been given the green light. It’s also already generating controversy. Announced late Wednesday afternoon by HBO, Benioff and Weiss will serve as showrunners, executive producers, and creators on “Confederate,” a war story set in an alternate timeline leading up to the “Third American Civil War.” The new original series exists in a world where the southern states never seceded from the Union. Slavery is still legal and has “evolved into a modern institution,” per the release from HBO, and the story will track “a broad swath of characters” in both the North and South, including freedom fighters, slave hunters, politicians, abolitionists, journalists, and more. Production is slated to begin following the final season of “Game of Thrones,” but the series is already facing an uphill battle from critics, particularly on social media. The announcement sparked skepticism, given the racial accusations hurled at “Game of Thrones” over its first six seasons, the sensitive nature of the central story, as well as the race of the creators themselves. This “Confederate” thing feels like HBO was thinking its TCA exec session next week was gonna be too smooth. In addition to Benioff and Weiss, the executive producers of “Confederate” include two people of color — Nichelle Tramble Spellman (“Justified”) and Malcolm Spellman (“Empire”) — as well as three total female writers, including Spellman and “Game of Thrones” producers Carolyn Strauss and Bernadette Caulfield. That creates an even ratio of men to women (which is not always the case). While the diversity of the staff shows that Benioff, Weiss, and HBO were aware of the controversial nature of the series, the optics overall are still problematic. Setting aside the inciting title itself, the series seems to be inviting a race debate via an expensive series created by two white men. The subject of race in America is always tricky, but has become even more volatile recently, as police shootings of unarmed African-Americans spawned the Black Lives Matter movement – and subsequent backlash from right-wing groups. President Trump’s rise to power was assisted by race-baiting techniques, including his oft-repeated claim that President Obama was not born in the United States and a campaign promise to bar refugees from certain countries into the United States. Republicans are also behind an ongoing effort to purge voting rolls in many states, impacting the voting registration of many African Americans and people of color across the nation. Race is at the forefront of virtually every debate in this country at the moment, and that’s perhaps why at this very early stage, the details provided for “Confederate” have already created a stir. “Game of Thrones” is still being criticized for its lack of black characters, and while the limited character descriptions in the release indicate a mix of ethnicities in “Confederate,” there’s no indication of whose perspective will be tracked, or who audiences will be asked to sympathize with throughout the series. That four white producers are on board does little to negate the idea that the “Game of Thrones” creators will be writing from a perspective they cannot understand. “Confederate” could be a big risk for HBO both financially and culturally. The reaction above sums up what the show will be facing from now until the first episode is released, but even then the series will be heavily scrutinized because a) it’s an HBO original series on a fictional American civil war, and b) it’s the creators’ follow-up to “Game of Thrones.” Benioff and Weiss will have final creative say as showrunners and will shoulder the blame for any perceived mistakes. Moreover, any mistakes will be magnified because of the delicate nature of the premise, making the series itself a boom or bust proposition for the network. There are obvious attractions to this kind of project from these two creators. The alternate reality concept connects to “Game of Thrones” (though it’s unlikely HBO would want “Confederate” referred to as “fantasy”). The structuring sounds similar to “Game of Thrones” as well: a lot of characters spread out over a massive space with individual stories tied together by a big, singular event. Stories like this also lend themselves to impressive production value, as everyone from the costume designers to set decorators will be challenged to draw inspiration from history while creating something new on their own. That makes the series Emmy-friendly from a craft standpoint, and HBO loves their Emmys. But if the controversial elements create a negative perception of the series, TV Academy voters might now want to touch “Confederate.” As much as they love “Game of Thrones” now, the show’s biggest Emmy victories arrived after the series survived (and moved past) its most controversial scenes. And its premise doesn’t so readily invite debate over America’s darkest historical sin. “Vinyl,” HBO’s latest costly disappointment, didn’t either, and look where it ended up. If “Confederate” doesn’t deftly handle each moment, it could become a far bigger blemish to hide. Best case, it’s the next “Game of Thrones.” Worst case, it casts a shadow on two of HBO’s most lucrative creators.